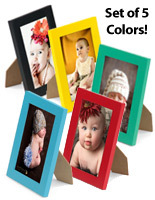 This collage picture frame is a cheap way to announce sales or new products in a boutique, or show off credentials in your office. 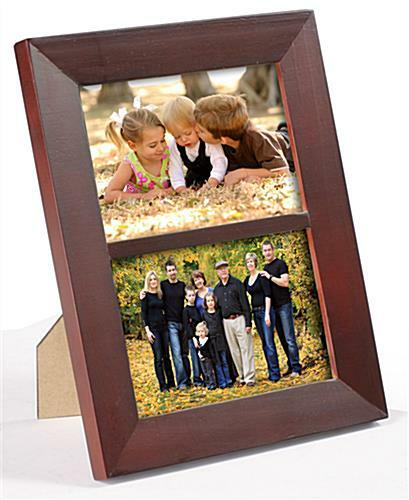 This display for two 4” x 6” photo or art prints has a beveled mahogany finish on solid pinewood for an elegant and understated appearance. 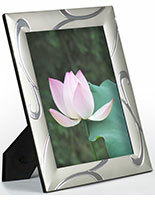 This enclosure mounts vertically or horizontally on a wall or desktop. 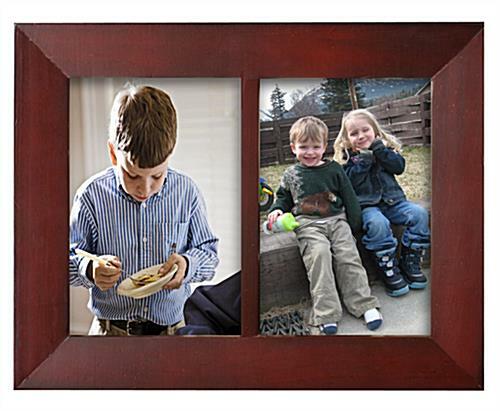 Elevate your home décor, or highlight a favorite memory or credential in your office with quality framing, for cheap at this website. 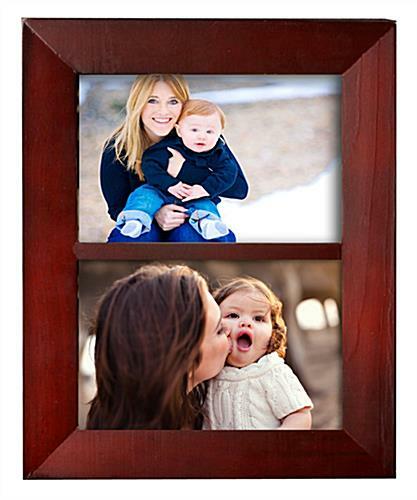 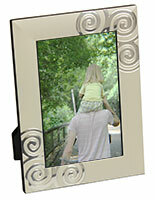 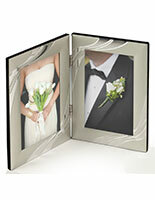 This contemporary collage picture frame is a durable, eye-catching way to preserve memories. 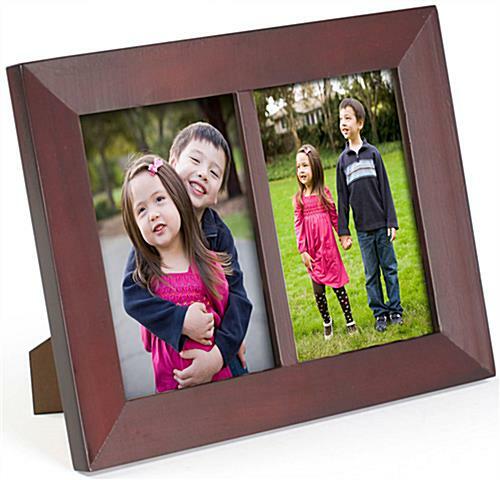 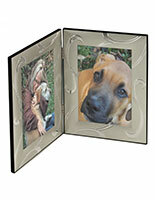 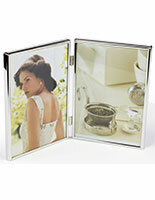 Create a beautiful display with this double photo system that enhances office or home décor. 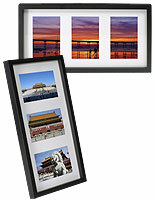 8.0" x 14.5" x 0.625"